SOUTH JORDAN, UT / ACCESSWIRE / January 24, 2018 / Blue Matador, the world's first and only downtime-prevention software company, today announced a $1 million seed funding round led by Peterson Partners with participation from follow-on investment firms Tallwave Capital and Trilogy Equity Partners. 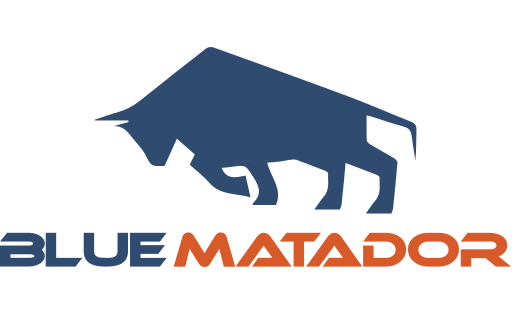 For more information about Blue Matador and the DevOps software they offer, please visit bluematador.com. Downtime — a common term for service interruptions that affect apps or services in the cloud and on premises — costs companies $700 billion a year, according to IHS. Worse, companies typically experience an average of 5 downtime events per month, which equates to about 324 hours per year, according to the same research. Blue Matador is the first company to develop and bring downtime-prevention software to market. "Service interruptions can ruin companies in ways we wouldn't have dreamed of twenty years ago," said Matthew Barlocker, CEO and founder of Blue Matador. "Downtime destroys customer confidence, reduces revenue, and increases overhead costs in dramatic ways." Recent significant outages in the news include Slack's downtime that took all users offline in January, Lowe's website crashing on Black Friday, and Amazon's AWS service outage that affected much of the internet in February 2017. Typically, downtime costs mid-sized companies about $1 million a year while larger enterprises incur an average of $60 million. Blue Matador's predictive-alerting system — the first of its kind — can help prevent outages like these. "We're excited to bolster Blue Matador in conquering the DevOps monitoring space with its innovative downtime prediction technology," said Randall Lloyd, partner at Peterson Ventures. "We think the company is led by the right team and comes at the right time to truly disrupt a growing industry that has unfortunately faced innovation stagnation." Today's DevOps monitoring market is focused on visualizing data and sending alerts only after outages have already occurred. To solve this problem, Blue Matador has developed proprietary downtime-prediction technology that gives engineers and network operations centers 15 minutes of advance notice — which is plenty of time — to solve problems before they turn into costly service interruptions. Blue Matador's centralized log management software competes with products like Splunk, Loggly, and Sumo Logic, but offers industry-first artificial intelligence that parses aggregated log files for patterns in data to provide its prediction. And unlike competing software, Blue Matador offers single-click integrations with all of the most popular server technologies like Docker containers, Amazon AWS, Windows Active Directory, Redis, and more. The company's server monitoring software competes with open-source options like Nagios, Zabbix, and Prometheus, and differentiates itself with simple, 23-second agent installs, 5-minute end-to-end deployments, and configuration-less alerting of over a dozen key system metrics that indicate system health. "With our seed round funding in place, we're going to fuel growth in enterprise sales," said Barlocker, "where our disruptive software has the potential to save Fortune companies and smaller organizations billions of dollars in downtime costs." Blue Matador, Inc., the fast-growing, Utah-based DevOps software company, was founded in 2016 by Matthew Barlocker and Mark Siebert, formerly of the award-winning, SaaS-based Lucid Software. Blue Matador exists to provide DevOps teams a single pane of glass that enables swift downtime prevention. The company's proprietary log management software, Lumberjack, and its zero-configuration server monitoring software, Watchdog, come with a free 14-day trial. Previously, Blue Matador received accolades and $100k from Epic Ventures and Kickstart Seed Fund when it took 2nd place in Silicon Slopes's 2017 Start Madness Competition and in the same year won 1st place in the Internet Marketing Association's Startup Pitch Competition. For more information, visit bluematador.com.